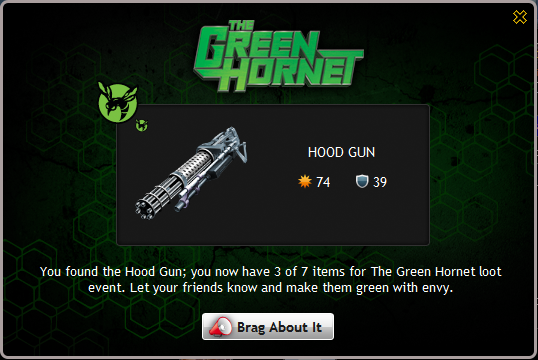 The Green Hornet has been buzzing around in Mafia Wars for just a few hours, but it's time we get to bottom of just how to nab Black Beauty for our own garages. 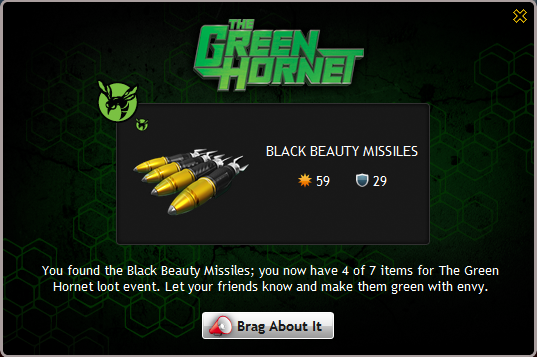 Unlike other promotional events, the drops in this are completely random, meaning that doing any job or fighting any player will have a chance at causing one of the seven items that count toward unlocking Black Beauty to drop. 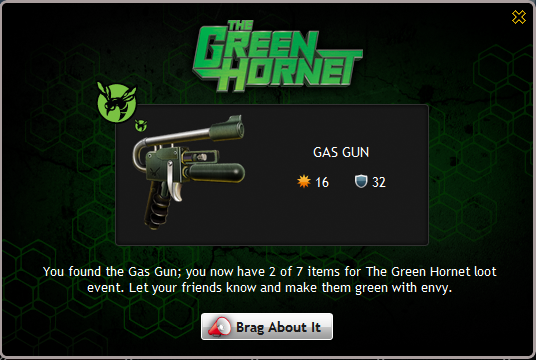 However, there are certain items that only drop from fighting and others that drop solely from doing jobs. 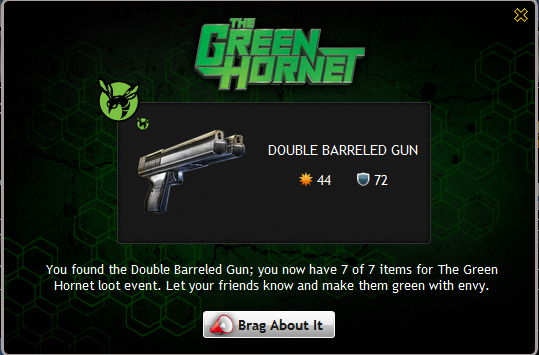 So, find our full list of all seven items and exactly where and how you can find them behind the break. 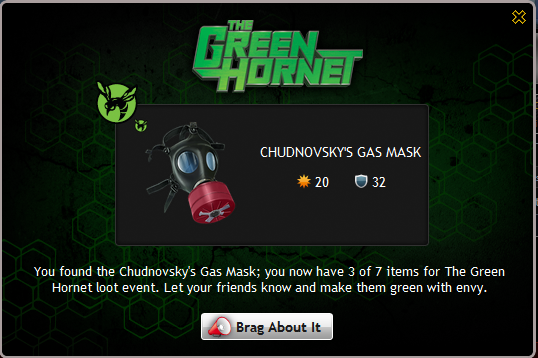 Technically, you only need to collect five items to unlock the Mastery Item with two of them available as Free Gifts, making this event even simpler. Essentially, this reduces the item hunt to just four items considering the Hornet Crest is a freebie. 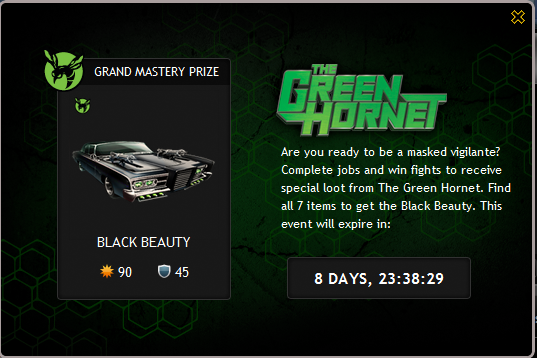 Find all four items to unlock the Black Beauty, a slick-looking car complete with missile launchers, chain gun, 90 Attack and 45 Defense. Have you found all seven items yet? Have any tips for success that we failed to mention here? Sound off in the comments. Add comment.